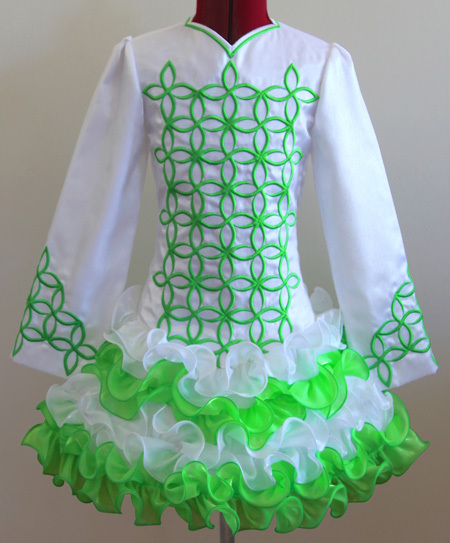 White twinkle satin bodice and sleeves, with fluro lime green embroidery design. 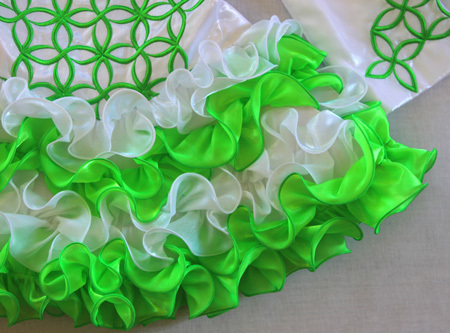 Adorable cupcake skirt ruffles constructed from alternating white and lime green twinkle satin with tone on tone trim. 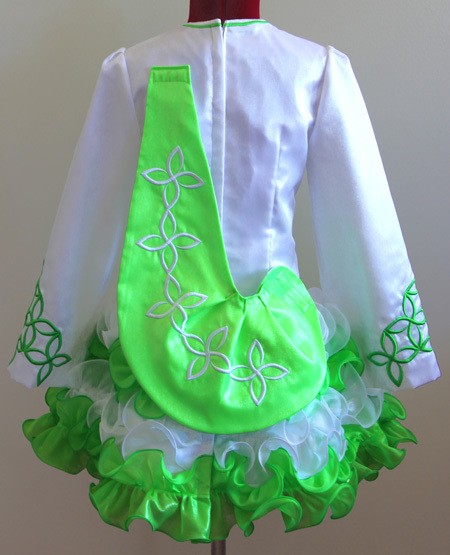 Adorable lime green twinkle satin shawl with matching white embroidery design.